Again we are thrust into a new space. After miring ourselves in the world of Baron Kurtz and the inside of Anna Schmidt’s apartment, the story seems to be suddenly picking up speed. We will soon be popping in and out of Vienna spaces at an alarming rate. Today’s frame shows Holly taking his first few steps into the tchotchke-stuffed apartment of Harry’s Doktor Winkel. Holly has spent the first half of this film calling Major Calloway “Callahan,” a major insult to a proper Englishman, and he continues his brusque American trend of mispronunciation by addressing the doctor with an Americanization of his name (wink-el) instead of the German pronunciation (vink-el). This is by no means unusual, and something in Herr Doktor’s begrundging tone as he corrects Holly’s pronunciation says that he must get it all the time. This would be an easy mistake as an English-speaker looking at the name on paper, but what is unusual is that Holly has already heard the correct pronunciation. Holly only knows of this doctor from being told his name (aurally) by both Anna and Kurtz, so what would be an honest, if ignorant, mistake had he simply looked up a local doctor in the phone book is transformed into a deliberate act. But Herr Doktor, having never met Holly before, has no way of knowing this, so Holly is the only one aware of this intentional disrespect. This frame itself offers a depiction of what Holly will learn from this encounter. We see our shadowy hero striding into an antechamber where in front of him wait yet another set of doors. Through those doors, Holly would assume, lies our Winkel, yet from our perspective we can see only the tiniest sliver of what lies inside that room, too brief and abstracted to construct into the space at large. Holly begins his haphazard investigation with little guile or pretense, simply asking what immediately comes to his mind, like a visitor coming through the front door, and from that investigatory perspective, he can glean only a sliver of what might be at play. The story that Winkel will deliver is completely identical with the one delivered by Kurtz and the one that Anna reported hearing at the police inquest. Holly can learn little or nothing from this, except for that small sliver glanced through the door, that Winkel, Kurtz, the police, and presumably Popescu have all been providing the same somewhat improbable series of events. So, depending on how deep this conspiracy goes, Kurtz and Winkel (and Popescu) are in cahoots, and telling their cockamamie story to the cops, or the whole lot of them are in on it together. The only person who hasn’t professed this exact yarn is the porter, who didn’t give evidence at the inquest, but whose contradictory story has put the fire under Holly’s investigation. Either way, by the end of this conversation, Holly knows that it is him against the world. Another very obvious clue to their collaboration is that mid conversation a tiny dog, looking so remarkably similar to Kurtz’ little dog that Holly asks a dumbfounded, “Is that your dog?” Clearly by the end of the conversation Holly (and we the viewers) know that the dog must be Kurtz’s and that means that Kurtz and his fellow collaborators must be in the next room plotting. Holly seems unworried by this discovery, but perhaps he should be. He is digging into a conspiracy that has already killed at least one person, and they are starting to take notice. That little dog should be more than a tell for Kurtz’ presence, it should be a warning that Holly is in danger. But our unabashed American hero soldiers on with his investigation, unworried and unafraid. He will reveal the truth one sliver of light at a time. 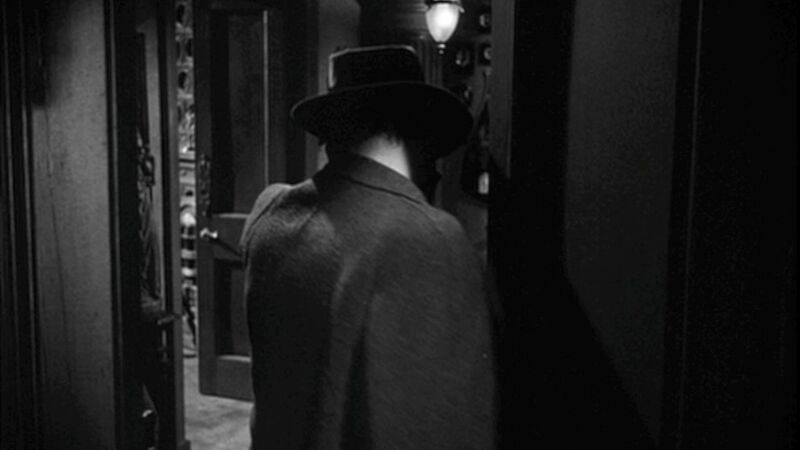 This marks the first of three instances throughout The Third Man of a pet betraying a character’s presence. Perhaps a storm is brewing and the animals know before we humans can see the signs, or maybe like Paul the psychic octopus, these animals just have a powerful ability to interfere in human affairs. Whatever Carol Reed’s motivation, these three animals may come to transform the lives of the humans around them. 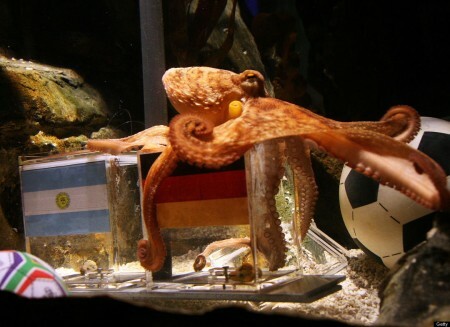 Paul the "psychic" octopus interferes in human affairs by predicting world cup wins before they happen. One side note. Our last scene, including Still Dots #32, marks another milestone in the film. Since meeting Anna, the two have been inseparable, but after separating, we see a scene of Anna that Holly does not. Like most suspenseful Noirs, The Third Man, generally shows us only what the detective can also see, in this case Holly. That way, when the mystery is finally pieced together it will have the same emotional satisfaction for us as it does for the detective character. But our previous scene throws us in a room with Anna, Calloway, and Paine but no Holly. Suddenly, we are allowed to embody more than just Holly, and can embody and identify with Anna as well, but before we can come to terms with that, we are dragged back to Holly at Winkel’s house. Meanwhile, for those of us identifying with Anna, she is presumably still with Major Calloway, but not arrested and free to go. Though, with her false papers in police custody and only a receipt to cross the countless borders of postwar Vienna, she won’t get far without the authorities finding out. She is being watched.